If there are two things that New Yorkers are notorious for it’s walking everywhere and their love of good foodstuffs. Thankfully we’re a capable bunch and can do both at the same time! 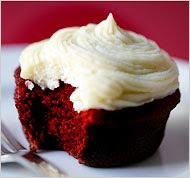 So, join up with the Walking Tours Manhattan on a Cupcake Crawl today at 11am for a real (delicious!) taste of Greenwich Village. The sugar rush begins at Billy’s Bakery and meanders to Amy’s at Chelsea Market. Then it’s off to Cupcake Stop and a final stop at Magnolia Bakery. Come hungry, leave full of cupcakes. Sounds like a good Sunday to us!